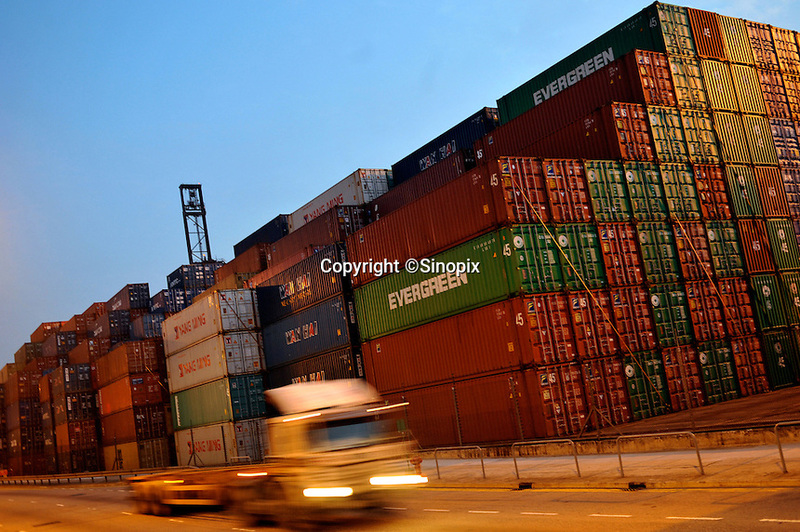 Shipping containers are stacked next to a road-way close to the Hong Kong container terminal and port area, Hong Kong. Hong Kong has seen a near 20% decrease in exports since the financial crisis. .